Part of planning for a newborn includes considering how to protect your little one in your home. As your infant grows, your childproofing methods will evolve, but you can begin by taking precautions for babies. Start babyproofing your home months before your due date to best prepare your space. Before your baby begins crawling, safely secure furniture to a stud in the wall. Make sure your changing table is anchored for stability during diaper changes. Remember to anchor your flat screen television while you are babyproofing your home. Add anchors to bookshelves, dressers, and any other tall or heavy furniture. Be sure your oven also has an anti-tip bracket installed. Babies quickly learn to roll over, and when they do, you need to have all cords secured tightly to the wall and out of the way. Television and computer cords can be a hazard. Use zip-ties to bundle them together. If you have blinds with cords, switch them out for cordless blinds. 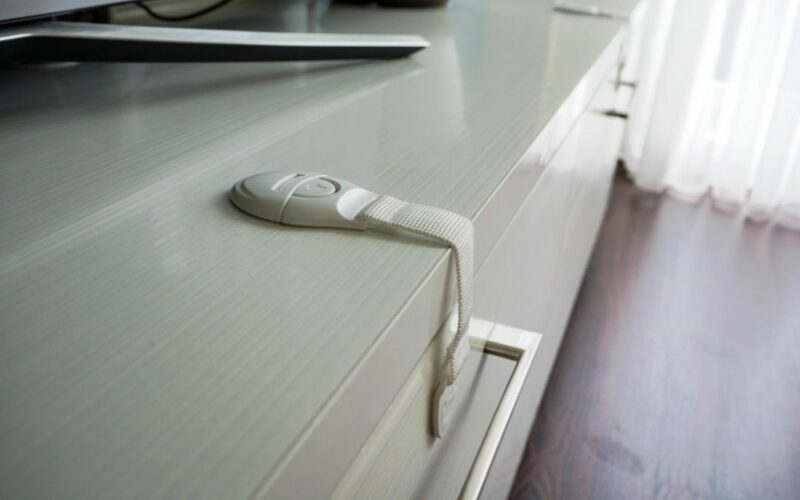 Move the crib away from all cords and cables. Babies learn through play and by experimenting. Install covers over your electrical outlets so they don’t learn about electricity the hard way. There are many different options for outlet covers when babyproofing your home, so you can choose something that works well with your home decor. Baby gates at the top and bottom of stairs are important to keep your toddler from falling and going where they shouldn’t. There are dozens of options for baby gates. You can also buy clamps that protect walls and banisters from being damaged by baby gates. There are many options for products that will help your young child safe. Make time for babyproofing your home well before bringing your infant home. You’ll be more prepared and confident knowing your space is safe for your child. Peconic Home Inspections offers home inspection services to Suffolk County and Long Island. Contact us to request an appointment.